Whilst the church membership is ultimately responsible for seeking God’s guidance for the church, a leadership team is appointed by the church meeting to lead the church and act as Charity Trustees. The leadership team includes our minister, who is responsible for the overall leadership of the church; deacons, who are responsible with the minister for the spiritual leadership of the church and also act as charity trustees; a treasurer and secretary who are responsible for the financial and administrative areas of the church’s life. At WBC we also have a wider leadership group of members with responsibility for worship, evangelism, children and youth. We have also recently appointed a church administrator who helps to keep us all organised. 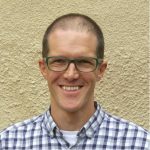 Tom trained for ministry at London Bible College (now London School of Theology) and was an Associate Pastor at Gold Hill Baptist Church in Buckinghamshire for five years before joining Wotton Baptist Church in 2010. He is married to Jo, an Occupational Therapist (and currently full time mum of four young children). Tom has a passion to see biblical truth taught clearly and relevantly and loves mountain biking, playing the drums, listening to the Beastie Boys, playing with his children and having quiet evenings out with Jo. 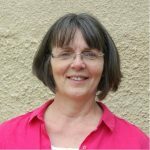 Diana became a Christian in 1973, and has been an active member of the various Baptist, Anglican and Vineyard churches she has been part of ever since. After university she worked in the UK and abroad an an architect and various office management positions before running a business with her husband in Charfield, where she still lives. Now widowed, she has 3 step-daughters living around the world and 6 step-grandsons. When not involved in church matters Diana spends her time painting, photography, walking, gardening, keeping up with the family, travel, and seeing friends far and near. Martin has been a Christian since his early teens and was active in and confirmed in his local CofE church of St Johns Kenilworth. He progressively drifted away from God during and after his university years concentrating on his family, career and a range of other interests. He has lived in Charfield 21 years and has one daughter and three sons. He worked his entire career for MoD and it was on a posting in Saudi Arabia that God was able to confront and challenge him. He is very conscious of this prodigal son story and is keen that the faithfulness of God is told to all who may, like him, have lost their way in their faith. On returning to the UK in 2008 God placed him and his wife Margaret in Wotton Baptist Church. He was baptised as an adult in 2010. They are both now retired and love spending time dancing and enjoying their three grandchildren. Mary became a Christian at University and has been involved in a number of churches over a period of 33 years. 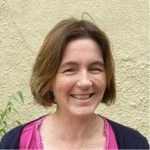 She has had a continued involvement in working with children and young people with a real commitment to seeing young people realise their potential. 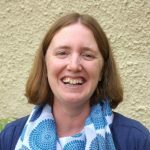 She has been involved in youth work in Wotton Baptist church for ten years and has been on the Church leadership team for five years. She is married with an adult daughter and son and has worked in the NHS since 1988. 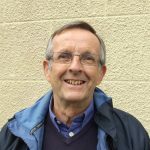 David is a retired Baptist minister who moved to Wotton in 2012. 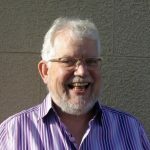 He is currently Chair of the Ark (Christian Coffee Shop in Wotton) management group, helps run the Wotton Carers Support Group, volunteers with the Wotton Community Bank and is part of the Fairtrade team in the town. He is in the local Community Choir, enjoys music, sport, walking, gardening and surfing. He is a Spurs fan. He is married to Margaret and they have 2 grown-up daughters and 5 grandchildren. 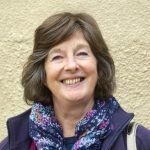 Vicki has a heart for worship and serving the church family at Wotton Baptist Church through her musical gifting. She works part time as a social worker, is married to Mike and they have two children and a dog. Vicki loves spending time with her family, walking in the countryside, listening to classical music and often has her nose in a book. 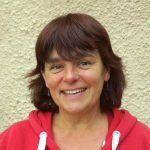 Karen is part of the WEBA youth workers network, trained with The Door youth project in Stroud and is involved in youth work at WBC, Wotton Youth Centre and the local secondary school as well as working as a lunchtime supervisor at one of Wotton’s primary schools. Karen is married to Tristan, they have 4 kids, 2 dogs and two horses. Karen likes running and walking the dogs and loves helping teenagers meet God. Arlene is actively involved in village life in Hillesley where she lives with her two children. She was brought up in the Church of Scotland and became a Christian at age 17 at a Billy Graham Mission in Glasgow, before heading to Aberdeen University to study maths. Her first job meant a move to Reading and she has been south ever since! She enjoys keeping fit by walking, swimming, cycling and pilates and also enjoys art, dancing and cooking. She hosts the Hillesley homegroup on Monday evenings. She is in the church office on Wednesday, Thursday and Friday mornings. Andy’s story is told in our church anniversary film ‘Don’t Conform, be transformed‘. After experiencing the grace and guidance of Jesus during his own transformation he now feels inspired to spread Gods word and introduce others to the love of Jesus. Andy lives in Wotton-Under-Edge with his wife Tracy, daughter Jenna and son Leon. He is a keen, although far from proficient, golfer and armchair football supporter. Who enjoys meals out and spending as much quality time as possible with his family.